To some, the instruments in a dentist’s office look foreign and obscure. while other people think that, if needed, they could figure out how just about anything works. However, with most things in density it’s important to leave certain aspects of the practice to the professionals. 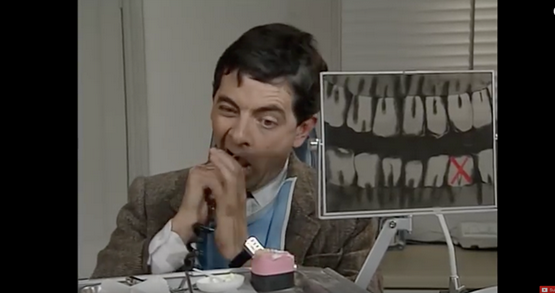 This clip is a comical parody that follows Mr. Bean’s trip to the dentist. 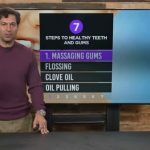 While we hope this series of misfortunate events would never happen in an actual appointment (especially the patient taking the cleaning into their own hands), we do think that this video gives us the perfect opportunity to discuss what dental issues can be handled by the patient and which ones require a professional. 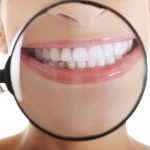 So, enjoy this hilarious clip of Mr. Bean and then keep reading for our list of dental issues that you should know what to do about! 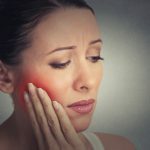 Toothache and radiating pain—what’s it mean? A toothache often comes at the worst time: in the middle of the night, on a holiday or while you’re out of town. For severe toothaches, especially those that that are accompanied by radiating pain through your jaw, it’s important that you seek professional care. Severe tooth pain could mean you need a root canal before more damage is done to your mouth. However, if you are faced with middle-of-the-night pain and want instant relief, there are home remedies that should help take the edge off. First, try over-the-counter pain relievers if you’re in a pinch. This should provide some instant relief. In addition to pain relievers, put peppermint leaves in boiling water and let them steep for 20 minutes. After allowing the liquid to cool, swish the peppermint tea around your mouth several times a day. If you have peppermint tea in a bag, the bag can be placed on the effected area to provide similar medicinal benefits. And finally, if you aren’t opposed to strong flavors (and maybe won’t be breathing on anyone anytime soon), try using garlic, which has been used widely throughout history remedy toothaches. Garlic contains a compound called allicin, which accounts for its powerful antibacterial properties. Crush a fresh glove of garlic and mix with salt, then apply to the affected tooth. Any swelling in the mouth is an indicator that you should call your dentist immediately. 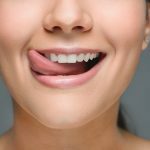 And while they try to slot you in as soon as possible, there are a couple things you can do at home to try to help relieve the pain in the meantime. First, try a salt water rinse. A good mix is 1/2 teaspoon table salt to 8 ounces of water. Make sure to use warm water and spit the solution out—don’t swallow it. Also, place a cool compress or a bag of ice on the affected area. This will help numb it as well as receive swelling. If you’re suffering severe bleeding from the mouth or have knocked out a tooth, it is important to seek care immediately. If you can’t get the bleeding under control, then it’s time to visit urgent care or an emergency room. In the event you knocked out a tooth, first find the tooth. 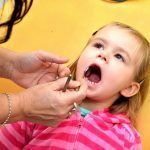 It is important to try to seek care within the first 30 minutes if you want to be able to save the tooth. And remember, keep it moist in a baggie with saliva or milk. Dr. Ku has once again been voted Fort Worth’s #1 dentist by the Star-Tribune, so it’s important to use his skills and expertise instead of relying on what you can research on the internet. Give our office a call today if you are experiencing pain and we will ensure you will have a great visit—unlike that of Mr. Bean!